$23 - A simple tween top that embodies the spirit of summer vacation, this new arrival was designed by PPLA. The darker teal blue is a unique shade that is enriched by the light stone wash fading. 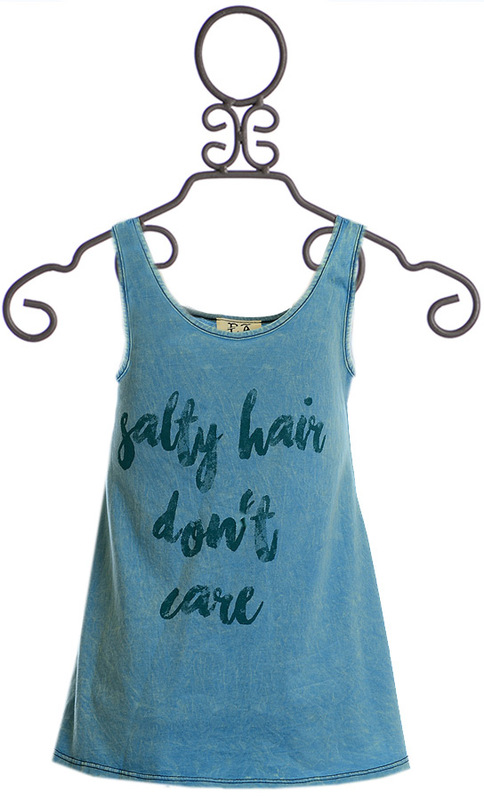 A carefree script reads "salty hair don't care" on the front while the top features a hi-low hem. 100 % Cotton. Hand Wash Cold, Lay Flat to Dry. Made in the U.S.A. (1) SIZE LG 14/16 AVAILABLE.